By reference to the law and regulations on the Republic of Indonesia, a local PT company must not consist of any foreign shareholders and the ownership of the company must be of 100% of local Indonesian entity. Therefore, if foreign investors were to insist on opening a Local Company, PT in Indonesia, by obtaining a local nominee company is a solution for foreign investors who want to expand the business as a local company in Indonesia. Do note however that foreign investors will be hampered by limited ownership. Here, foreign investors can set up a local company, PT but the local nominee shareholder will be registered as a holder of the shares of the company which simply means that even though the foreign investors set up the company, they will not be registered as the owners of the company. The way in which a foreigner can still gain in control of a local company in Indonesia is by setting up the company’s bank account overseas such as in Singapore or Malaysia. This is said to be the case as even though the foreign investors will not have a legal ownership of the company, he will still be able to take in control of the company’s funds from managing its bank account. Here at Paul Hype Page, we would be able to provide you with Local nominee company service in Indonesia. We can provide you with the reliable and trusting local shareholders and commissioner with due diligence in setting up the local PT company for you. In addition, we have offices set up overseas in neighboring countries such as Singapore and Malaysia. As a matter of fact, our Headquarters are located in Singapore and it is one of the incorporation companies which have ties-up with DBS Bank for applications of corporate account opening and regional payment services. Therefore, we can provide foreign investors with further assistance in setting up a Local Company, PT in Indonesia and to open foreign company bank account. If foreign investors are not comfortable with the fact that they will not be able to obtain any shareholdings of the Local Company, PT they set up, they would want to consider setting up a Foreign Owned Company, PT PMA instead. 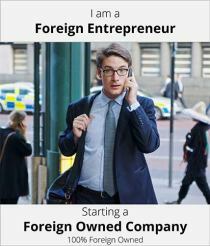 Click here for more information on how we can foreigners to set up a local PT company. Unlike forming a PT PMA company, a Local PT company do not need to pay IDR 2.5 billion but they are subjected to the Regulation of No. 20 Year 2008. A local PT company could also easily get additional funds/capital, for example by issuing new shares. Unlike PT PMA companies in which their shareholdings are subjected to the rules laid down in the Negative investment list for certain business activities, local PT companies would be 100% owned by local entities which simply means that the limitations on certain business activities would not apply.